Our Moderator Libby gives hard-hitting stories of food in the news to our panelists and they discuss their attitudes and opinions in our Weekly Baste Segment. This week we discuss the curtsy, fast-fine, and gender neutral pops among other things. The Maillard Reaction Segment opens the floor for each panelist to give an opinion about a question that is relevant to the current week. 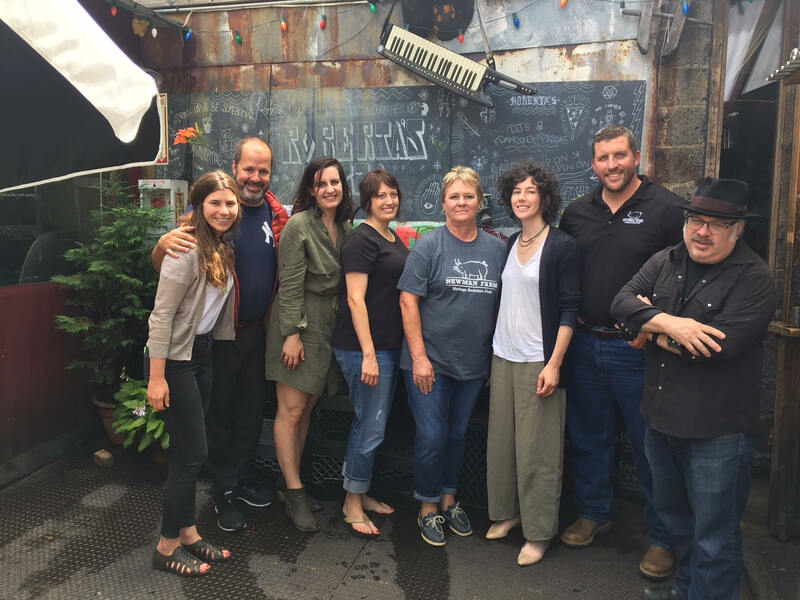 The show is rounded out by our special guests: the Newman Family, Berkshire farmers from Missouri and Sarah Weiner, founder of the Good Food Awards.